Internet's Best Magnetic Knife Rack will help you organize your knife set in an efficient and sleek manner. No longer take up exceptional amount of counter space with a bulky knife block, but mount the thin, sleek magnetic knife rack to the wall or cabinet to allow for more space saving ability. 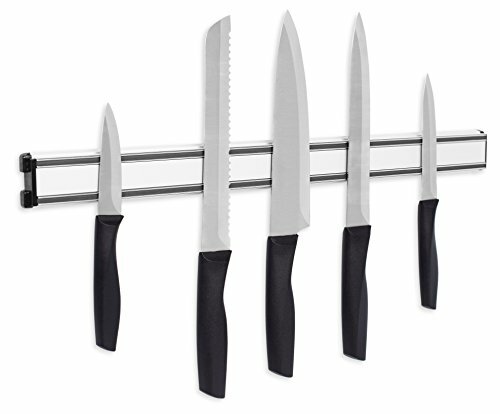 Each knife rack is equipped with two magnetic strips on a durable thin aluminum frame. Simply mount to a wall or cabinet with the included wall-mounting screws and dry wall anchors.